With the establishment of the commonwealth, many Filipinos began focusing on other issues. Moreover, Congress had grown less hospitable to Philippine concerns now that the islands were on the path to independence. As a result, Delgado faced strong headwinds delivering his message in Washington. The vocal isolationist camp on Capitol Hill was unreceptive, eager to wash their hands of U.S. entanglements in the Pacific, and commercial interests, especially the powerful southern agriculture sector which had for decades competed with Philippine exports, looked to stifle trade and regain to expand its market share. Delgado also did not have much time to pursue an agenda in the House: He and Guevara were the last Resident Commissioners elected by the territorial legislature. For the previous 30 years, the Philippines had sent Resident Commissioners to Congress in pairs, one elected by the assembly and the other by the commission. Under Tydings–McDuffie, however, the new Philippine Commonwealth agreed to a change limiting the islands to only one Resident Commissioner appointed by President Quezon. Delgado’s term, like Guevara’s, was set to expire once a constitutional convention had been held and the new form of government ratified. The compressed legislative schedule for the 74th Congress (1935–1937) also worked against Delgado. The House adjourned sine die in late August 1935 and did not come back until early January 1936 for the next session, about a month before Delgado’s term in office lapsed. The Kleberg bill never cleared committee, but the 5-cent coconut oil excise tax that had been inserted into the 1934 revenue bill was included in the annual revenue bill in the summer of 1935. When the Revenue Act of 1935 (H.R. 8947) came to the House Floor for consideration in late August, Delgado again denounced the coconut oil tax as “a flagrant violation of the trade compact contained in the Tydings–McDuffie Act.”27 Several days later, after passing both the House and Senate, the revenue bill, complete with the new tax, was signed into law by President Franklin D. Roosevelt. 1Congressional Record, House, 74th Cong., 1st sess. (30 July 1935): 12127. This is part of Delgado’s testimony before a House Special Subcommittee of the Committee on Agriculture, which he inserted into the Record. The full transcript is on pages 12122–12131. See also Alfonso Ponce Enrile, “An Appraisal of F. A. Delgado,” 27 November 1935, Philippines Herald Mid-Week Magazine: 5. 2Francisco Delgado, Box 46, Biographical Directory of the United States Congress Research Collection, Office of the Historian, U.S. House of Representatives; Zoilo M. Galang, ed., Leaders of the Philippines: Inspiring Biographies of Successful Men and Women of the Philippines (Manila, PI : National Publishing Co., 1932) : 197–199; “Our Resident Commissioners,” 25 August 1934, Philippines Herald: n.p. 3Congressional Directory, 74th Cong., 2nd sess. (Washington, DC: Government Printing Office, 1935): 130; Galang, Leaders of the Philippines: 197–199. 4“Francisco A. Delgado,” Biographical Directory of the United States Congress, 1774–Present, http://bioguide.congress.gov/scripts/biodisplay.pl?index=D000218. 5Congressional Directory, 74th Cong., 2nd sess. : 130. 6Eugenio E. Santos, “Within The Committee Rooms,” 22 August 1934, Philippines Herald Mid-Week Magazine: 7, 23. 7Santos, “Within The Committee Rooms”: 7. 8Creed F. Cox (War Department) to South Trimble (Clerk of the House), 12 October 1934, House Committee on Elections, 74A-J1, Record Group 233, National Archives and Records Administration (hereinafter NARA), Records of the U.S. House of Representatives, Washington, DC; President Franklin D. Roosevelt to Speaker Joseph Byrns, 3 January 1935, House Committee on Elections, 74A-J1, Record Group 233, NARA. 9“Solons Select New P.I. Envoys to Washington,” 21 August 1934, Philippines Herald: 1. 10“A Happy Choice,” 22 August 1934, Philippines Herald: 4 ; “Guevara, Delgado Elected to Congress Posts by Legislature,” 22 August 1934, Philippines Herald: 1. 11“Our Resident Commissioners”; “Delgado Promises to Abide by Legislature And Heads,” 23 August 1934, Philippines Herald: 1. 13Enrile, “An Appraisal of F. A. Delgado”: 5. 14“Philippine Plots by Japan Scouted,” 30 December 1934, New York Times: 15; Congressional Record, House, 74th Cong., 1st sess. (6 February 1935): 1617. 16James G. Wingo, “Delgado Doings; Immediate Withdrawal Proposal,” 16 February 1935, Philippines Free Press: 9. 18Hearings before the Senate Committee on Agriculture and Forestry, Causes of the Loss of Export Trade and the Means of Recovery, 74th Cong., 1st sess. (5 February 1935): 457–463. 19“Philippines Seek a Trade Exchange,” 25 December 1934, Washington Post: 2. 20Causes of the Loss of Export Trade and the Means of Recovery: 461. 22Hearings before the House Committee on Immigration and Naturalization, Extending the Time for Voluntary Return of Unemployed Filipinos to the Philippines, 74th Cong., 1st sess. (5–6 February 1935): 26–30. 23Congressional Record, House, 74th Cong., 1st sess. (30 July 1935): 12122–12131; Hearing before a Special Subcommittee of the House Committee on Agriculture, Oleomargarine, 74th Cong., 1st sess. (May–July 1935): 92–96. 24Revenue Act of 1934, Public Law 73-216, 48 Stat. 680 (1934). 25Congressional Record, House, 74th Cong., 1st sess. (30 July 1935): 12125. 26Hearing before the House Committee on Agriculture, Trade Relations with the Philippines, 74th Cong., 1st sess. (28 May 1935): 303–304. 27Congressional Record, House, 74th Cong., 1st sess. (24 August 1935): 14636–14637. 29“Monetary Issue Tangles Affairs of Philippines,” 15 February 1936, Christian Science Monitor: 1; Public Law 73-419, 48 Stat. 1115 (1934). 31Hearings before the Senate Subcommittee of the Appropriations Committee, Second Deficiency Appropriations Bill for 1935, 74th Cong., 1st sess. (June 1935): 90–101. 32“Philippines to Be Host,” 11 September 1935, New York Times: 5; “Garner Acclaimed by Seattle Throng,” 16 October 1935, New York Times: 18. 33Enrile, “An Appraisal of F. A. Delgado”: 5. 35“Francisco A. Delgado,” Biographical Directory of the United States Congress, 1774–Present, http://bioguide.congress.gov/scripts/biodisplay.pl?index=D000218. 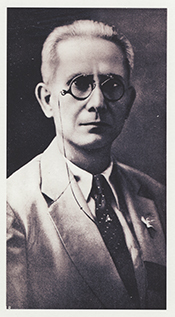 36Philippines Senate, “Francisco A. Delgado,” Former Senators’ Profiles, http://www.senate.gov.ph/senators/former_senators/francisco_delgado.htm (accessed 21 December 2015). 37“Francisco A. Delgado,” Biographical Directory of the United States Congress, 1774–Present, http://bioguide.congress.gov/scripts/biodisplay.pl?index=D000218; “Delgado, Former UN Envoy, Dies,” 28 October 1964, Manila Chronicle: 1. Papers: In the Marian Anderson Papers, 1957, 1 item. Contains letter from Francisco Delgado, Rotary Club of Manila. Delgado, Francisco Afan. "A Comparison Between the Status of the Roman Peregrinii and that of the Inhabitants of the United States Insular Possessions." L.L.M. thesis, Yale University, 1908. ___. Las Restricciones injustas sobre los derechos de la esposa en relación con sus bienes parafernales y la sociedad de gananciales deben desparecer del código civil... Manila, P.I. : Bureau of Printing, 1933. ___. Legal Ethics. Manila, P.I. : Afan Pub. House, 1946. "Francisco A. Delgado" in Asian and Pacific Islander Americans in Congress, 1900-2017. Prepared under the direction of the Committee on House Administration by the Office of the Historian and the Office of the Clerk, U.S. House of Representatives. Washington: Government Publishing Office, 2018.